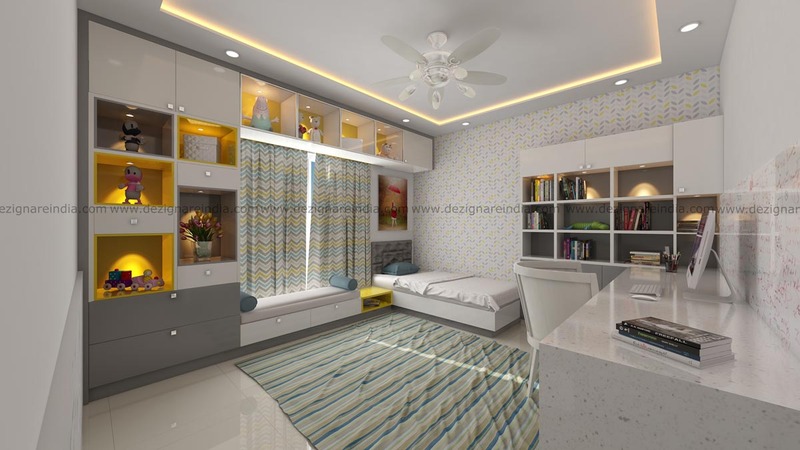 Designer's Blog : The bedroom is designed to offer children or growing adults their privacy and space. Designed with a large work desk makes up for those electronic gadgets while the large windows allow for ample natural lighting. 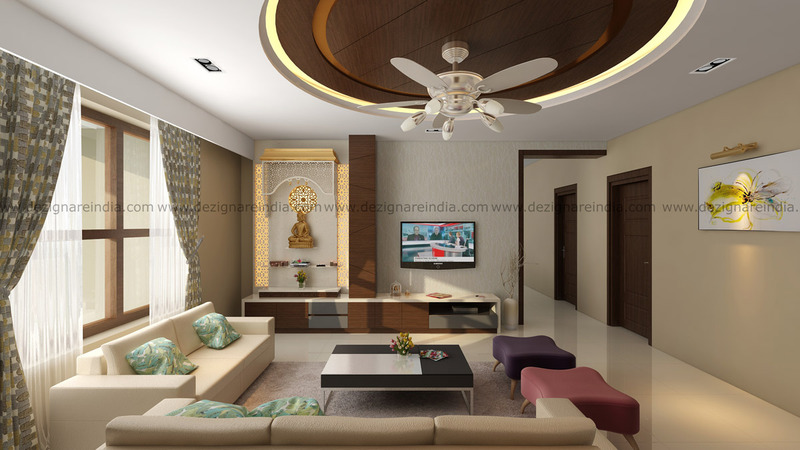 Check out the four blade fan with lights to enhance the room aesthetics. 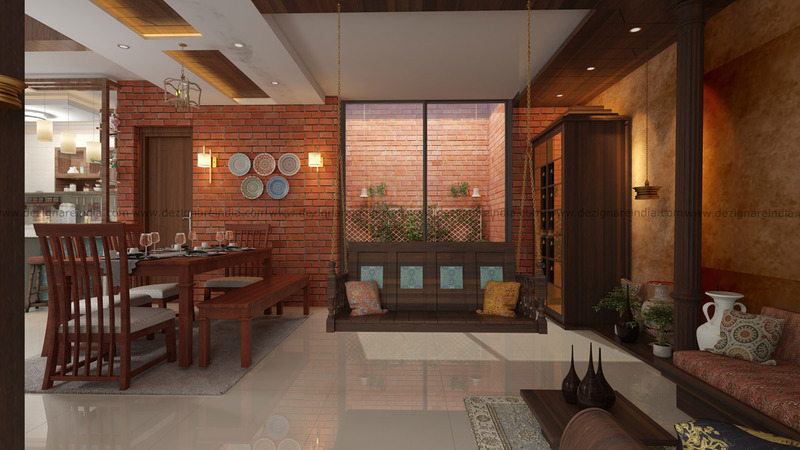 Designer's Blog : The foyer announces the visitor of the ambience design and aesthetics in the house to follow. 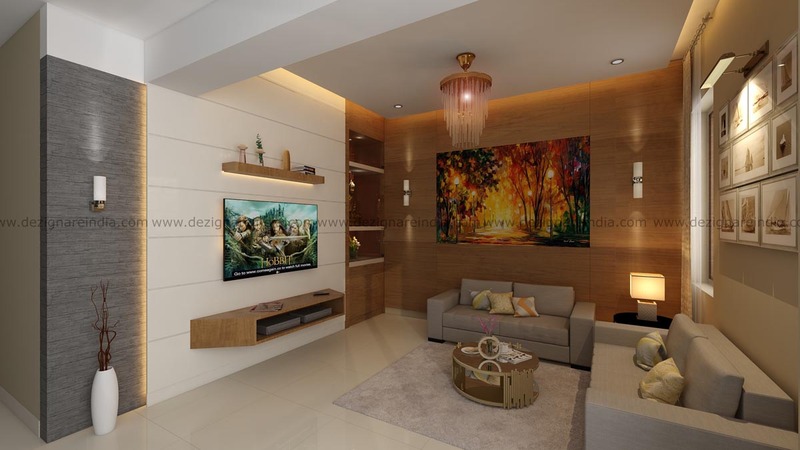 The wooden frames and wood decor element adds a sense of style and elegance. Designer's Blog: ‘Guest is God’s messenger’ is what reflects the design essentials of the guest room. 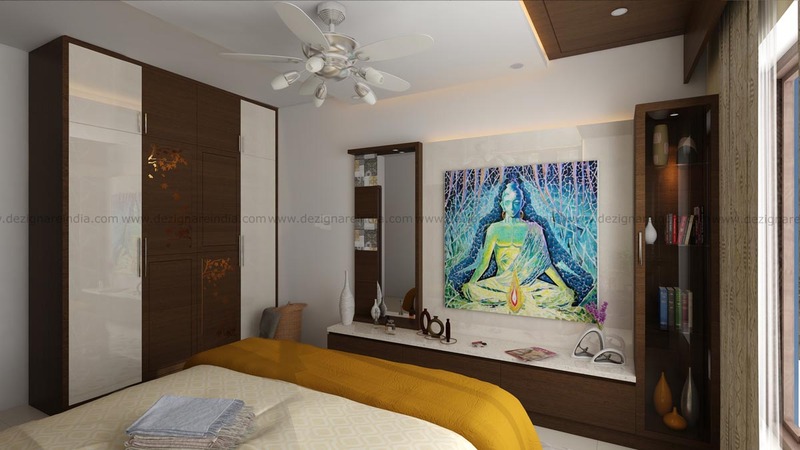 The large meditative mural and multi blade fan enhances the comfort and the design sensibilities. Designer's Blog : The other angle of the guest room showcases how everything from a perfect cozy resting space to large windows with essential furnishings allow guests to feel at home. 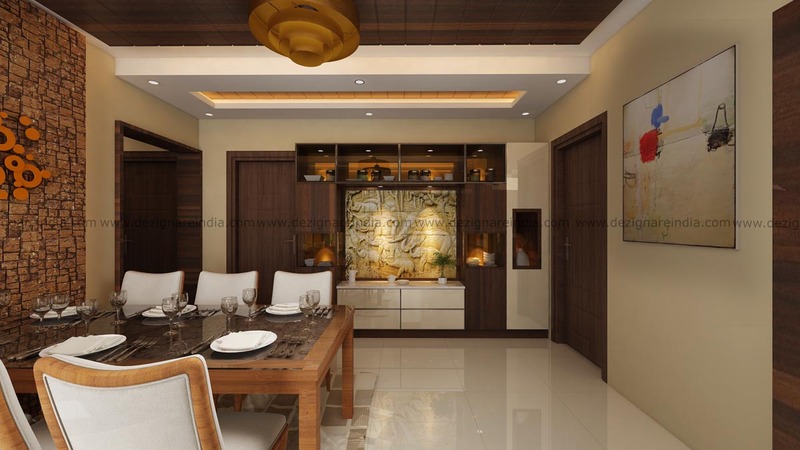 Designer's Blog :The large kitchen space ensures that multiple persons can work around with ease. The glass partition with access to open areas is an add-on for those sun dried gourmet foods. Designer's Blog : The heart and soul of the abode is the colorful living room space with its large wall art and matching furnishings. 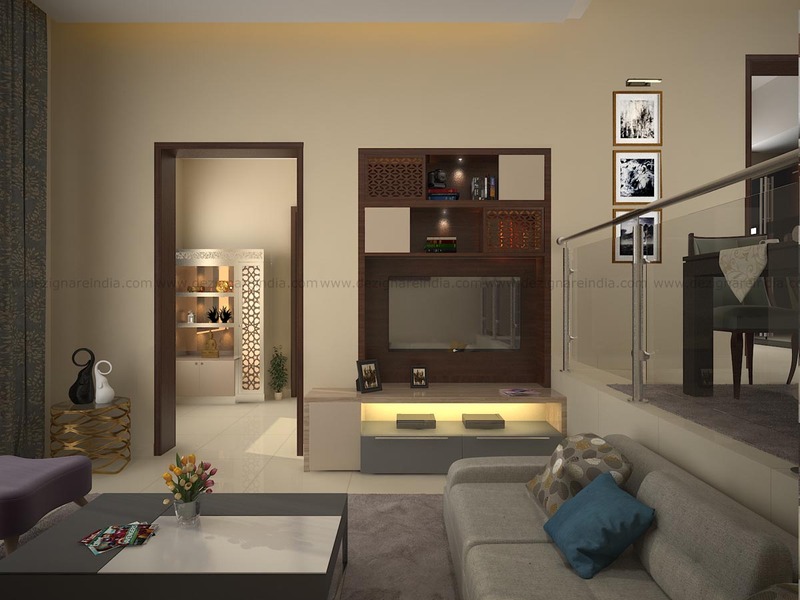 The space is offers a perfect combination of comfort and style aesthetics. Designer's Blog: A look at the decor essentials of the living room through this wide angle shot. 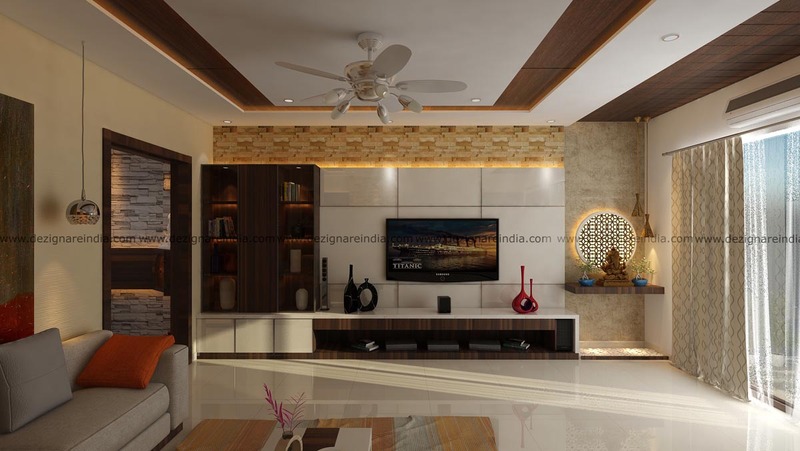 The minimal of designs but maximum design aesthetics for the perfect living room space decor. Designer's Blog: With work from home a reality today, the master bedroom offers a perfect work desk without compromising on comfort and designing. Designer's Blog : Walk into the master bedroom and enter your world of private space, full of comfort and coziness. 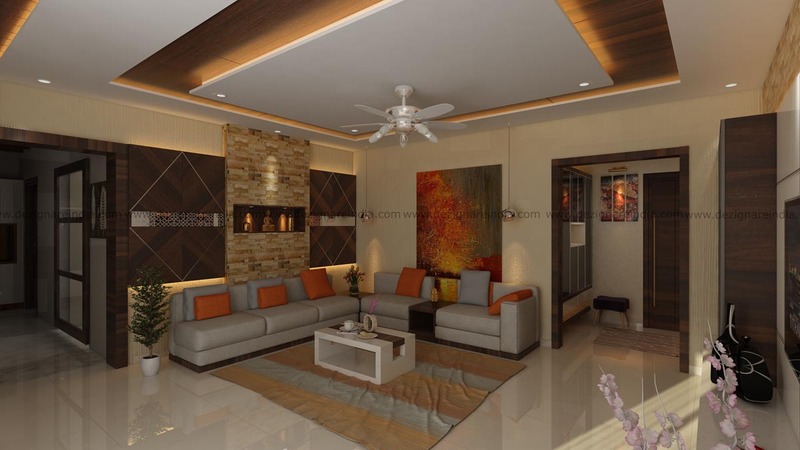 The wooden flooring and wall murals add an element of style without being too loud. 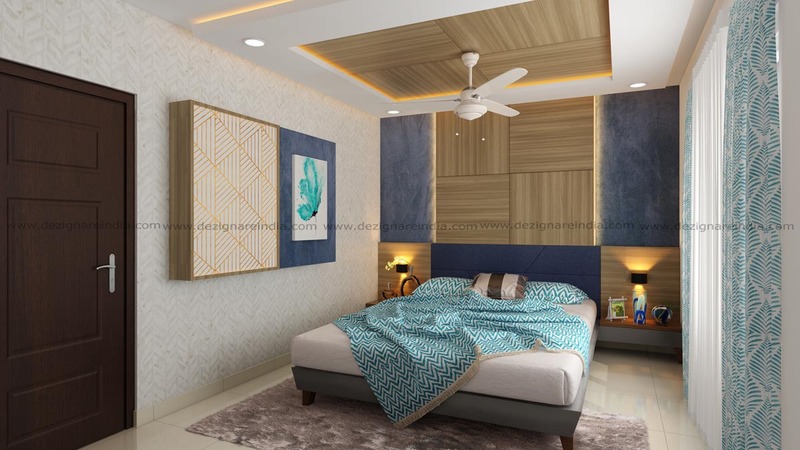 Designer's Blog : Everything that a bedroom warrants is put in place and at their right orientations. 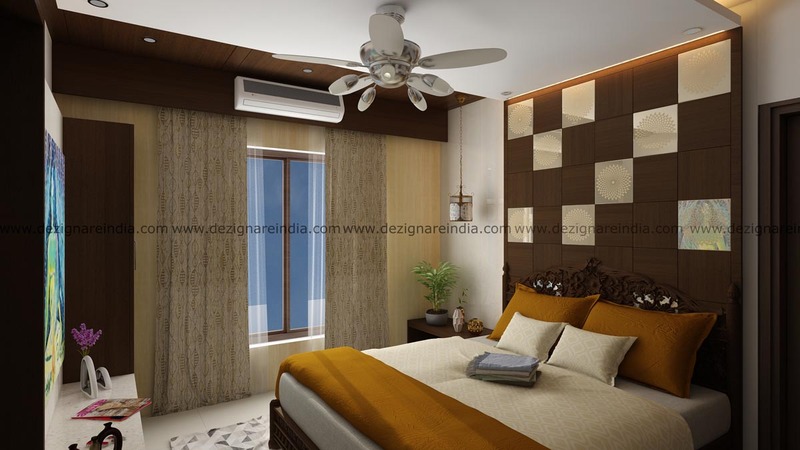 The large wardrobe, the multi faced fan, the low themes furnishings making for a perfect dwelling. 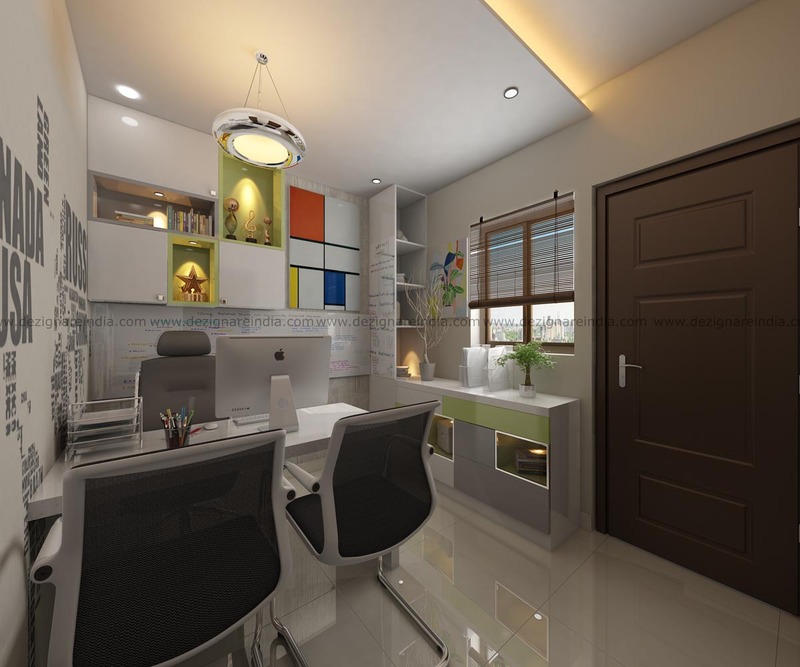 Designer's Blog : Should you need to work from home, the home office offers a perfect backdrop with it’s professionally designed work desk. 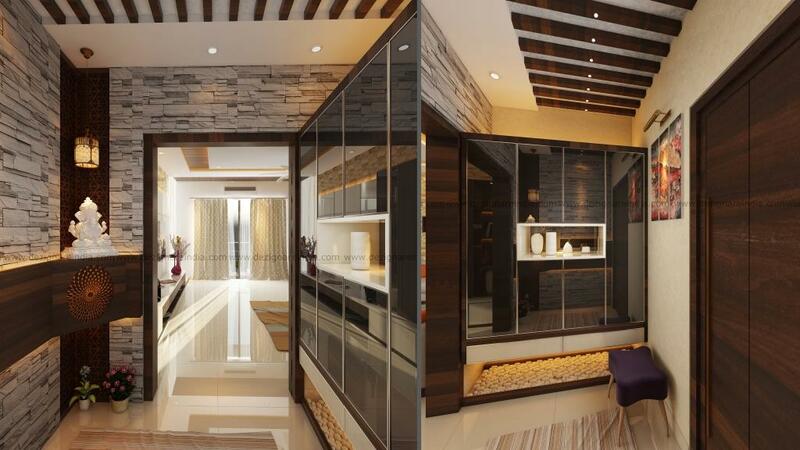 The hanging flash lights ensure a décor element adding a sense of great craftsmanship. 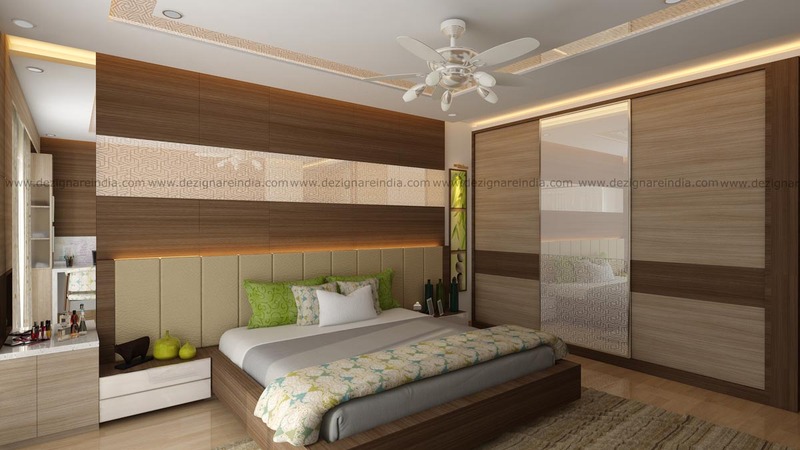 Designer's Blog: A bedroom designed keeping in mind maximum comfort. 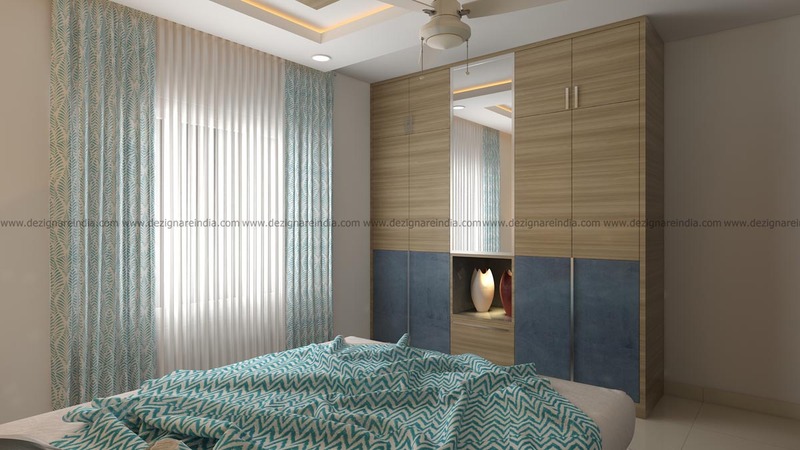 The rounder cornered furnishings, the use of wooden panels in the roof and back and blue soothing designed theme. Designer's Blog : The close angle shot of the parent’s bedroom reflects how simple can be useful and trendy. Focus on simplicity without compromising on designing. 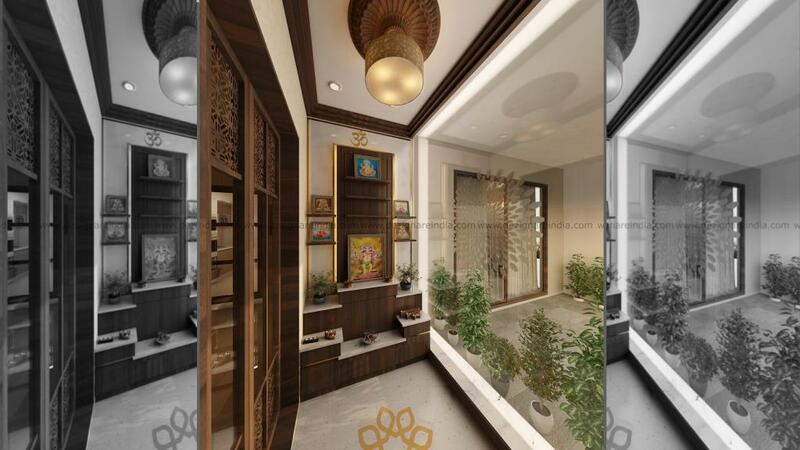 Designer's Blog : A wooden framed decor element underlines the theme of the Pooja room. The multiple shelves are ideal for placement of pictures and worship murals. Don’t forget to check the green belt adjoining the room. Designer's Blog: The dining room is trendy but simple enough to offer the residents a private meal amid the traditional wall murals. 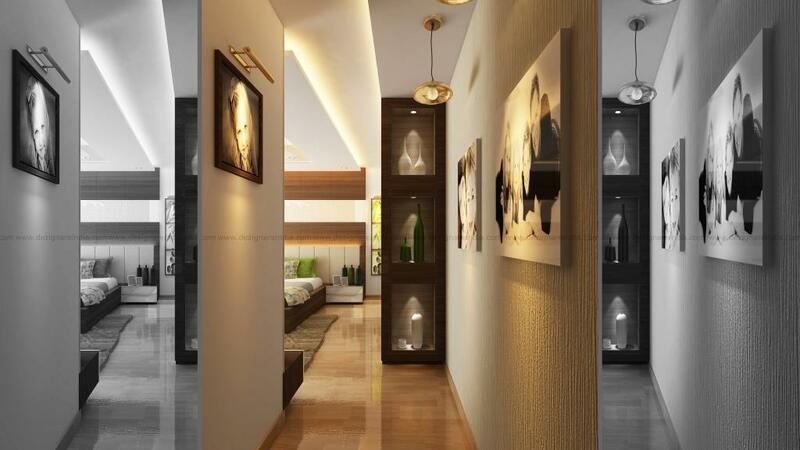 The trendy hanging light adds a design essential par excellence. 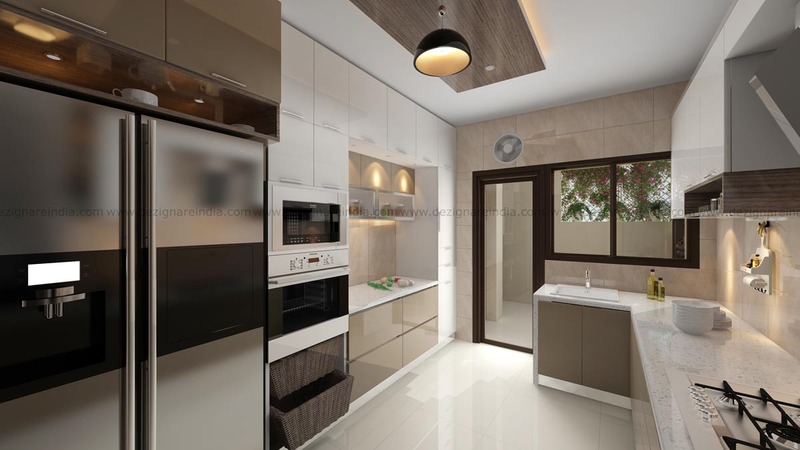 Designer's Blog: A wide angle shot of the kitchen space underline the maximum utilization of space and still offering ample space for the kitchen. 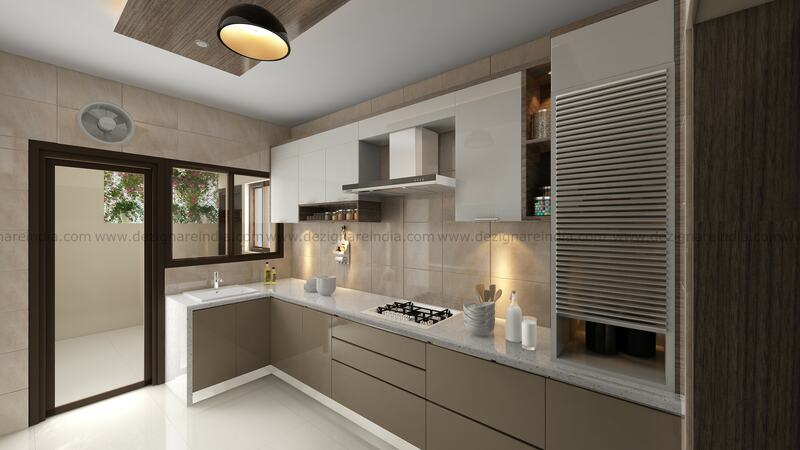 A kitchen which is fully modular in design and sensibilities but also offers an open area amid natural lighting. . Designer's Blog : Designed in detail is the study room useful both for adults and children alike. 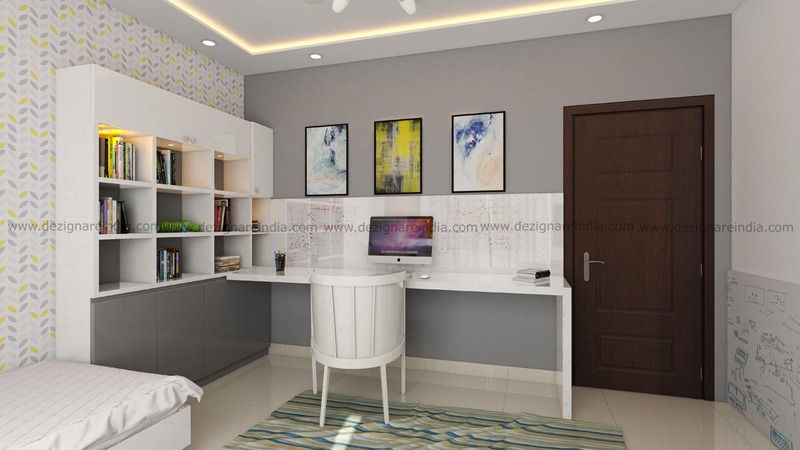 The simplistic design and the usefulness of book stacking shelves make up for the perfect study room ambience. Designer's Blog : Focus on utility area as much as on other areas of the household. 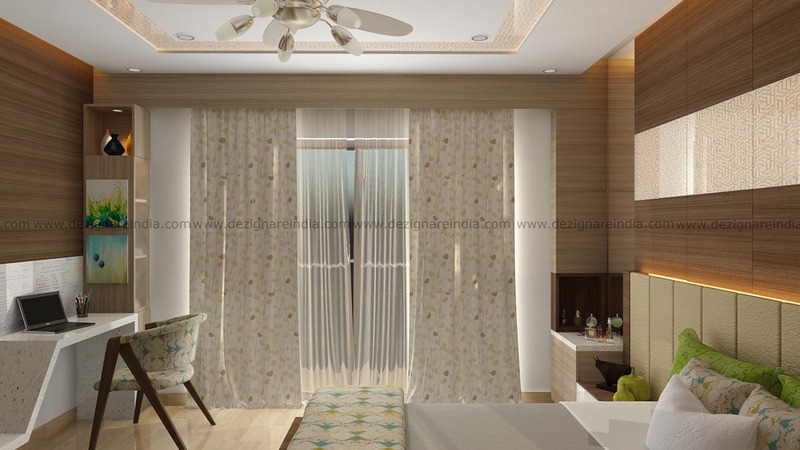 The area offers ample storage space which is duly covered to avoid any water spillage. 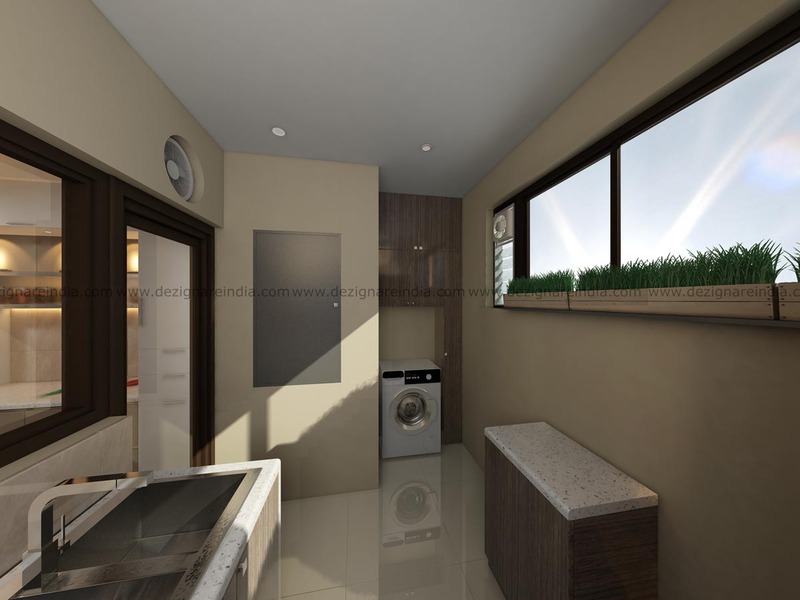 The green decor along the terrace line adds a design sensibility.